Martin features in this month's Jumpin'Hot Jamboree 13-15th September, in beautiful County Durham! Martin who has recently joined forces again with his band the Daintees is a musical alchemist of roots music, his compositions being an eclectic brew of roots' styles. 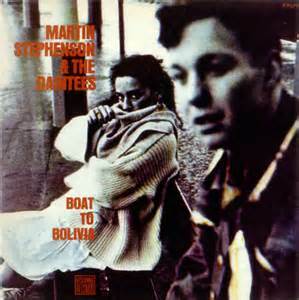 A passionate advocate for the scene in the north east of England has produced many excellent albums. In this month's podcast, in order to mark his playing at the first Jumpin'Hot Jamboree I feature two tracks from the seminal "Boat to Bolivia" album. Martin's also got a free available EP click here! A monthly podcast to the best in World, Folk and Roots Music and a North East England Gig Guide at Soundcloud, Podomatic and iTunes! This gig guide used to be a long list of gigs in chronological order. I have , at least for the time being, as you may have seen last moth abandoned that and am making it more of a summary. The click through links will tend to take you to a venue website rather than the specific page for a gig...so a bit more for you to do. Do look out on my Twitter feed and Facebook for content promoting gigs locally. Please do also let me know about gigs going on, as sometimes they do get missed and if it fits the Roots of the World remit I'd like to know! Things get back into the busy season after a quiet August at Sage Gateshead . Americana, World and Folk all feature in October. Stateside sounds include the Be Good Tanyas and (6th), Caitlin Rose (11th). Folkwise the "Teeside Troubadour", Vin Garbutt plays Hall 2 (22nd) and Jon Boden brings his take on "The Ballad of Little Musgrave and Lady Barnard" to the Sage on the 25th. Gem Arts bring Nirmalya Dey with his stunning vocal performances (22nd) and Anupuma Bhagwat's virtuosic sitar skills (29th) to Gateshead. The new Making Tracks in world music series commences (28th) with soundscapes created by Brazilian musicians Adriano Adewale (percussion) and Benjamin Taubkin(piano). As you will have noted from the blog's introduction, it is a busy month for Jumpin'Hot Club as not only is there the "Jumpin'Hot Jamboree" (13th-15th), but we are treated to Sam Baker (4th-Live Theatre, Newcastle) with superb support from Carrie Elkin and Chip Dolan); Jim White, meister of southern Gothic Americana (Cluny 2 17th) the wonderful Chastity Brown revisiting the JH Club with former locally resident folk singer Beccy Owen (Live Theatre 20th); and the Boss Sounds massive provides reggae from local band the Equalisers (20th, Tyne Bar). The Cluny brings the usual high quality selection of singer-songwriters (as well as the Jumpin'Hot gigs mentioned above) including from the thought provoking lyricist Emily Maguire (12th), the "Caledonian Soul" of Blue Rose Code (26th), and folk-rock from Jim Lockey and the Solemn Sun (22nd). The Cumberland Arms, Byker is having a quiet September,but there's real class in our local Glasto'13 artists Bridie Jackson and the Arbour on the 28th. They keep churning out blues gigs on Thursday nights! September is no exception for the The Monkey Junk Blues Club at the Butterfly Cabinet, Heaton. Check the website for full details but as you will have heard in the podcast, the very distinctive folk voice of Mr Ewan MacLennan will be heard (28th), whilst Trevor Sewell (19th), Michael Littlefield and Scott Taylor (5th), are amongst other artist appearing on this very reliable Thursday evening slot. Monkey Junk have also got an album out which I hear is available here. Hoochie Coochie welcome local blues/honky tonk girl Hannah Rickard and the Relatives (13th-free gig!). Burundanga, fantastic local Latino band play Oak, Newcastle on the 7th. Phoenix Folk down at Byker City Farm host local folk band Horizontal Sunday on the last of the summer concert series. Paul Mosley plays The Polite Room: Tyneside Cinema, Newcastle to celebrate the Polite Room's 4th birthday on the 6th. Tyneside Irish Centre have a very special folk night on the 22nd, with folk legends ( I am sure they won't thank me for saying that!) Martin Carthy and Dave Swarbrick playing. They also present Davey Arthur (12th) and local band the Happy Cats (22nd). Arc, Stockton present the Jive Aces (20th). Big big sounds at the Billingham Forum with the appearance of the Mugenkyo Taiko Drummers (28th)-check them out on my podcast and read about them here. There's also a picture on my Facebook site. The Old Cinema Launderette, Durham has five gigs on this month including Teesiders and historical racketeers By Toutatis (13th), Jess Morgan (14th), the Diamnond Family Archive (21st), Josienne Clarke and Ben Walker (28th) and as heard on my podcast from the wonderfully rootsy US singer-songwriter Myshkin (29th). Down at Gala in Durham city the observant and honest lyrics of Emily Maguire can be heard on the 12th. The Polite Room holds a folk punk gig at the Gala (5th) with Driven Serious + support. Darlington Folk Club welcomes the lovely Prelude on the 5th of this month. Bishop Auckland Town Hall goes all Bridie Jackson and the Arbour-ish on the 22nd and welcomes the velvet tones of Kieran Goss (18th). There's a real feast of folk at the Sedgefield Folk Festival (6-8th) including Edwina Hayes (on the podcast), The Doonans, The Young 'Uns, The Teacups, Flossie Malavialle and the Jaywalkers. Davy Lamp Folk Club, Arts Centre Washington is back following a very well deserved break over the summer. Every Saturday has a gig: Allan Taylor (7th), Bob Fox (14th), Billy Mitchell and son Tom (21st) and Rory MacLeod (28th). South Shields Folk Club, Customs House, South Shields has a folk gig most Sundays including Flossie Malavialle (29th). Bede’s World, Jarrow hosts the Great North Folk Festival , 27-29th, including The Old Dance School, which you can hera on the podcast. Northumberland fiddler Roddy Matthews and friends play Alnwick Playhouse (5th). On the 28th Black Voices , an acapella quintet bring their mix of traditional African, Carribean, jazz, Gospel, English folk and more highlighting the richness and diversity of their cultural heritage. Bellingham All Acoustic Club up in the North Tyne valley sees County Durham's favourite French folkie Flossie Malavialle sing out (27th). Cramlington Folk Club,Concordia Leisure Centre, Cramlington hosts Prelude (3rd), Valerie Vaughan (10th) and Quicksilver (24th). Creative Northumberland has the beautiful voice of Edwina Hayes gracing St. Cuthbert's House in Seahouses (7th). Catch the idyllic voice of Sarah McQuaid at The Hearth, Horsley on the 18th, lovely food at this venue a little way outside Newcastle. Rothbury Roots, Queen’s Head, Rothbury welcomes Hungrytown with We Steal Flyers on the 19th. You can hear the Roots of the World Radio here on 1st, 15th and 29th September! North East Music Monthly is a new, free and exciting music magazine for Newcastle/Gateshead which comes out monthly which includes articles, previews, reviews (gigs and albums) and artist features available at lots of places throughout Newcastle/Gateshead. More info can be found here. If you would like to buy some of the music you have heard on my podcast/radio show or anywhere else of the world/roots/folk kind, why not consider supporting an independent store specialising in this music, Coda Music, Edinburgh click here. Waka Waka Africa North East, is a northeast England organisation prmoting African culture including music For information click here! GemArtsUK: Culturally diverse dynamic arts organisation promoting particularly but not exclusively Asian arts. More info click here! Newcastle Roots Music Radio﻿ September 2013 podcast will be out on Tuesday October 1st. The North East artist of the month for that podcast is as yet to be confirmed. 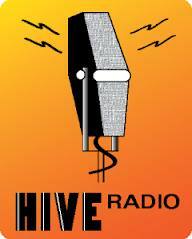 Also don't forget my radio show on Hive Radio ! Thanks for your interest, spread the word, support the music, venues and promoters and take care.